A very quick post today, because I'm very sad. Yesterday we have rescued an homeless kitten. She was appeared out of the blue in the garden, with a bad bad bad cold. We have took it at the veterinary clinic, but she doesn't make it through the night. I'm SO sad. I know we have had all that we could, but I'm still sorry for this loss. 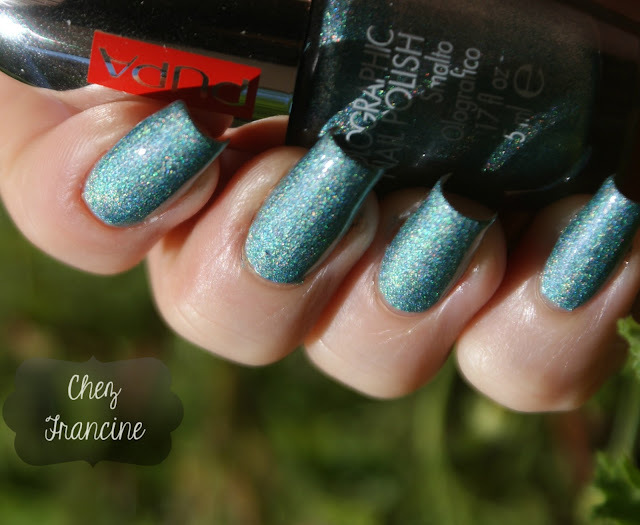 Speaking of holo nail polishes, my pick for today is Pupa 032 Holographic Emerald(2012), a nice emerald green linear holo. You can see two coats. The linear holo is not strong or clear as brazillian ones, but it's pretty enough for me. I used the sandwich tip, because this summer is too hot to handle and we need to avoid spots and bubbles on the surface. I didn't use Nfu Oh Aqua Base, but a matte top coat. La mia scelta per oggi è Pupa 032 Holographic Emerald (2012) un grazioso olografico verde smeraldo ad effetto lineare, non così smaccato come nei brasiliani, anzi, direi che è piuttosto una questione di fede, ma è carino a sufficienza per la sottoscritta. Qui vedete due mani stese con la tecnica sandwich: col caldo che fa, meglio evitare qualsiavoglia problema. Ho usato un top coat matte tra una mano e l'altra. That's all, mates. Sorry for my few words, but things aren't OK now. I hope you could understand my feelings. 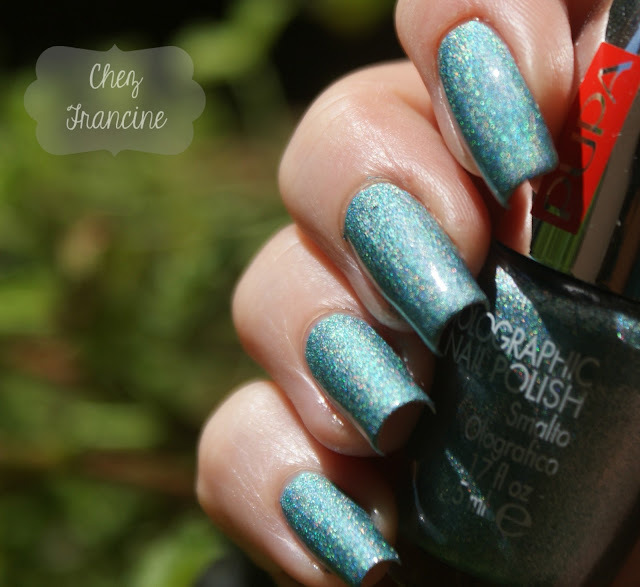 Do not miss to take a look at my nail polish mates's picks. I'm pretty sure their polishes shall be gorgeous as ever! Per oggi è tutto. 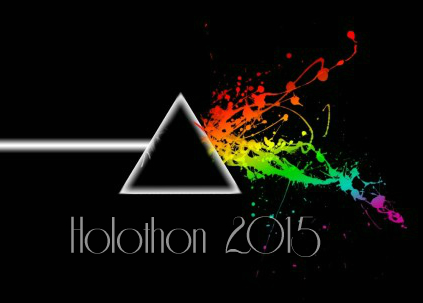 Scusatemi, ragazze, ma se non fosse stato per Holothon, oggi non avrei proprio postato. Non è proprio cosa. Non dimenticate di dare una sbirciatina ai blog delle altre mie colleghe di boccetta, sono sicura che vi lasceranno a bocca aperta! !